(technically equivalent to AS 9100D and JISQ 9100:2016 for Aviation, Space and Defence Organisations). Principle Engineering are proud to announce, that our partners GRW Quality Management System has achieved EN 9100; 2018 accreditation for development, production and sales of high precision ball bearings, bearing units and customised bearings within Aviation, Space and Defence Organisations. As an integral part of the globally active KAMAN Corporation, GRW are ideally placed to showcase their superior range of ball bearings to the Aviation Space and Defence organisations worldwide. For more than 75 years, GRW is an internationally operating industrial company that holds a globally leading position in the development, production and marketing of highly precise miniature ball bearing solutions on the international market. Our target is to work with them to establish successful partnerships with our customers through excellent products and outstanding service. Continuous optimisation of GRW products and processes ensures their growth and sustainable corporate success. 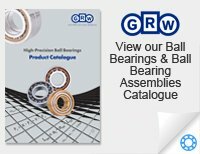 GRW manufacture bearing units and special ball bearings with state-of-the-art production methods. Our customers value our high application know-how and direct dialogue. 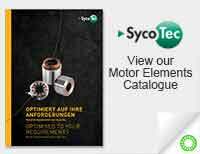 Based on short development times, they receive precisely fitted technical as well as economically attractive solutions. For more information or technical support please contact us HERE. Thank you and congratulations GRW from everyone at Principle Engineering. Principle Engineering are officially Authorised Manufacturers Agents, promoting our Principals products throughout the UK and Ireland. 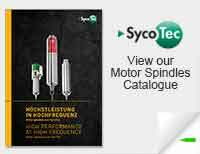 Manufacturers of ruggedised, customised and programmable Optical Shaft Encoders. We offer a variety of solutions for Motion and Rotational applications, from the simplest of tasks, to the very highest precision manufacturing. Markets served include: Aerospace Instrumentation, Model gas turbine engines, finest optical focus mechanisms, food processing machinery, medical and meteorological Instruments, process control equipment. Specialist high speed machining: drilling, engraving, milling/routing, de-panelling plus many more. High speed electric motor and power generation.